The Barlow Chrome Money Clip keeps your money organized. Minimum order with your imprint, 100. Quantity variation +/- 5% is possible & billable. 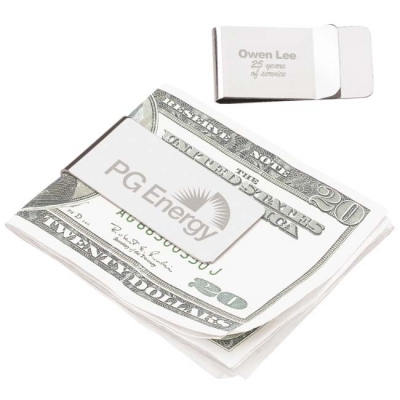 This Laser Engraved Barlow Norwood Chrome Money Clip is the economical answer for your corporate gift or promotion. Price Includes: laser-engraved imprint, 1-location. Packaging: Gift Box. Weight: 1 ounce. Setup charge for laser imprint: $50.